This is truly a transformational retreat. In the midst of this thing we call life, we all experience change, chaos and upheaval, at some point or another. It is inevitable. It is the space between the end of one thing and the beginning of another. It is a cycle, a natural universal pattern, that sometimes catches us by surprise. Sometimes, we find ourselves in the same place, over and over. As we awaken to the nature of this space, it can become an opportunity to investigate, to explore, to reframe our relationship with ourselves and the world around us. Who are you? What are you? How do you want to feel? Gift yourself The Space Between to fully embody the natural pause between the end of the old year and the beginning of the new. This retreat will inspire you, it will shift you, it will allow you to make changes you want to make. Join me at this potent time of year for 7 days of yoga asana, curiosity, exploration and nourishing body-mind practices. The Space Between Retreat just got more spacious! You asked, we listened! Now a 7 day retreat including New Year. Open to everyone, no matter what your yoga experience or flexibility, your age or ability. All are welcome. Katy is an experienced teacher who has practised and studied forms of yoga internationally for 20 years, and has been teaching in New Zealand since 2008. More recently she has embraced the Tantric embodied consciousness teachings of Embodied Flow TM and Embodied Yin TM. Now residing in rural Northland, her current mantra is Do Less, Feel More. The YOGA that she teaches will take you on an embodied poetic journey beyond the everyday ordinariness of being human, into the extraordinary felt qualities of being. It will move you, it will wake you up, lift your spirit and remind you of how unique and significant you are. You simply have to be willing to lean in and pay attention. transfers from the Auckland-Coromandel ferry - please advise Mana staff when you book. Full payment is required to secure your booking. There is an option on Mana's booking site to complete an intention form, for anyone who may struggle to pay in full on registering. Please get in touch if you need assistance. For the past few years, I have chosen to spend my Christmas holidays teaching a very special retreat. The space between Christmas and New Year is perfect time to retreat. Many of us are stressed and exhausted, then agonising over (or avoiding) how to celebrate the New Year beginning. This retreat offers you a chance to rest, recover and rediscover your true nature. During this retreat you will explore and expand into seven days of regular holistic practice including hatha yoga, yin yoga, yoga nidra, satsang, silence* and meditation. There will also be plentiful time to slow down, rest, walk, contemplate, converse, laugh, or simply be, in stunning natural surroundings. 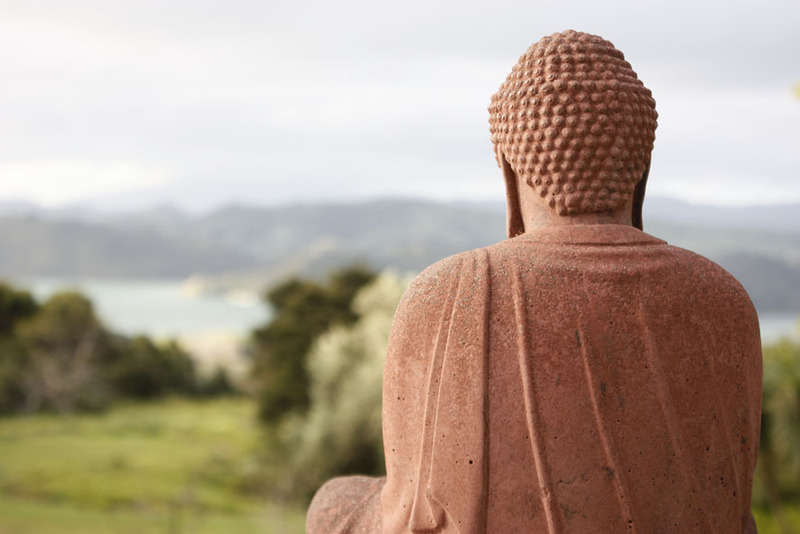 Mana Retreat Centre in the Coromandel Peninsula is a truly special place to do this. If this sounds exactly what you need, especially at this time of year, please get in touch for more details, or book now. I look forward to sharing this space and time with you.